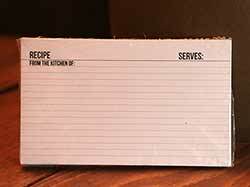 Recipe Boxes & Cookbooks - Make great gifts! 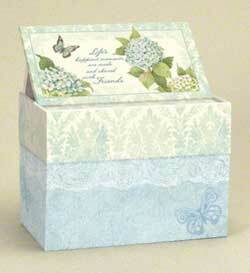 Blue Hydrangea Recipe Card Box, by Lang. 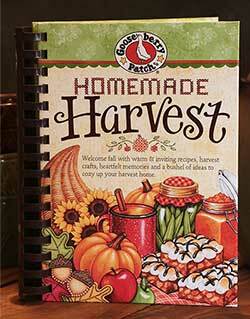 This recipe card box features an easel-style pop-up cover and full color artwork by Susan Winget. 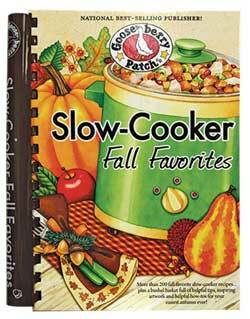 Includes 12 dividers that feature cooking tips, as well as 12 recipe cards measuring 4 x 6 inches. Box itself measures 6.75 inches wide, 5 inches high, and 3.75 inches deep. Box Sign Recipe Cards, by Primitives by Kathy. 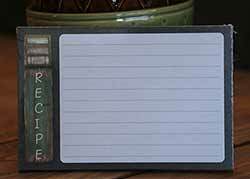 This is for a set of 50 recipe cards in a simple, classic black and white design. Part of the Box Sign Collection. Cards measures 3 x 5 inches. Recipe box also available!